Guitarist Joe Carter's new quartet premieres in Bethel, Connecticut. 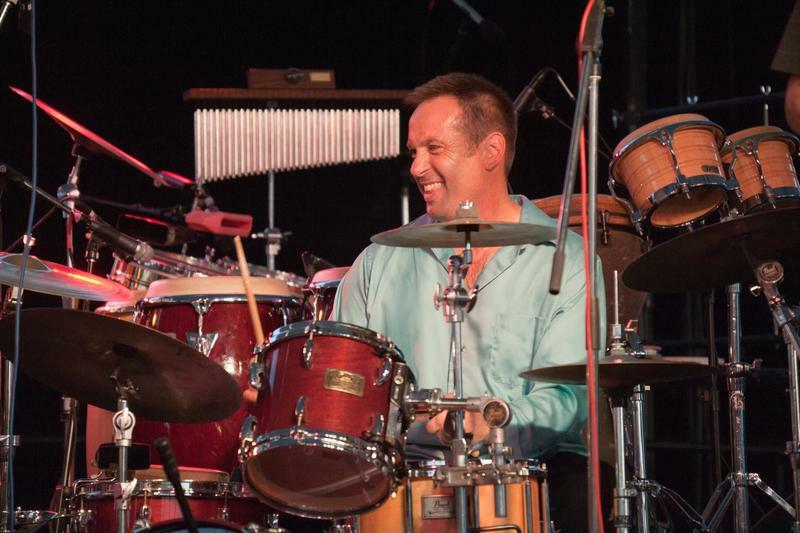 Guitarist Joe Carter, a Bridgeport native who fell madly in love with Brazilian music on a life-changing night in a club in Rio de Janeiro, has over the years transformed himself into one of the premier samba jazz guitarists either north or south of the border. In the consummate jazz and Latin guitarist’s newest project, he premieres his Joe Carter Intercontinental Quartet — a combo featuring the great German-born harmonica player Hendrik Meurkens — on Sunday, November 13, at 6:00 pm at Bethel’s sizzling jazz and pizza bistro, Pizzeria Lauretano, 291 Greenwood Avenue. Rounding out Carter’s international foursome — a venture uniting his passion for Brazilian music with his knack for forming simpatico alliances — are noted Brazilian musicians, bassist Leco Reis and percussionist Fernando Saci. 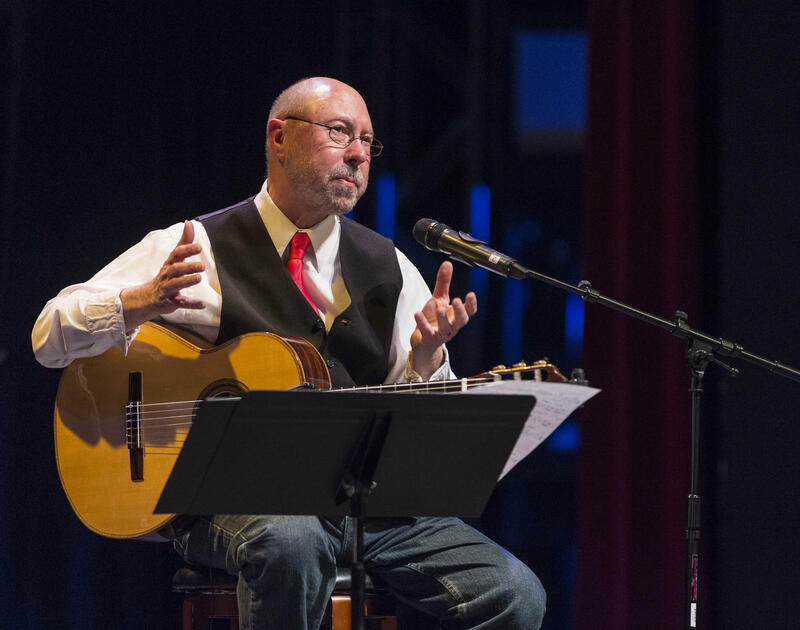 Originally, a strictly straight-ahead improviser with crisp, clean ideas and a fluent sound on his nylon string guitar, Carter had for years — before that magical night in Rio — kept his artistic sights focused on modern jazz with bebop roots. The guitarist/composer, who is the head of the music department at Sacred Heart University in Fairfield, won acclaim for his mainstream performances and recordings with such legendary figures as Art Farmer, Lee Konitz, Bill Hardman, Cecil Payne, Junior Cook, Steve Kuhn, and the late, great, sadly underrated pianist Don Friedman, who died recently. But while the Nutmeg guitarist and University of Bridgeport grad was busily touring on the international circuit in the 1980s and ‘90s playing smart modern jazz choruses from Paris to Mumbai, his globetrotting pilgrimages led to Rio and a dramatic conversion to Brazilian music. His moment of truth occurred when he first heard the music played by native musicians in Rio where he was greeted as a visiting Yankee jazz musician with impressive mainstream credentials. After a taste of the real deal in Rio, Carter wanted to create bona fide Brazilian music both as an instrumentalist and as a composer. 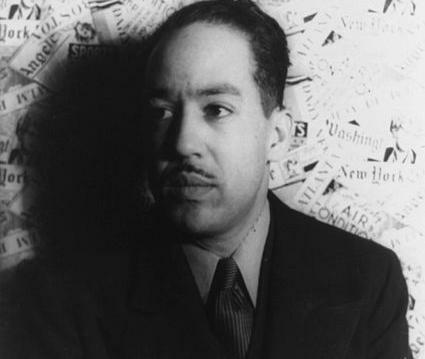 He compares his transformative experience at that first Rio session to the sort of epiphany a European musician would undergo upon walking into the Village Vanguard only to discover that he’s going to play with drummer Jimmy Cobb and bassist Ron Carter as the opening act for the legendary Bill Evans Trio. More trips to Rio, his new fount of inspiration, whetted the avid acolyte’s appetite even more for mastering Brazilian music by jamming with and eventually making his own fine recordings with recognized Brazilian masters, elevating the Trumbull resident to international recognition. 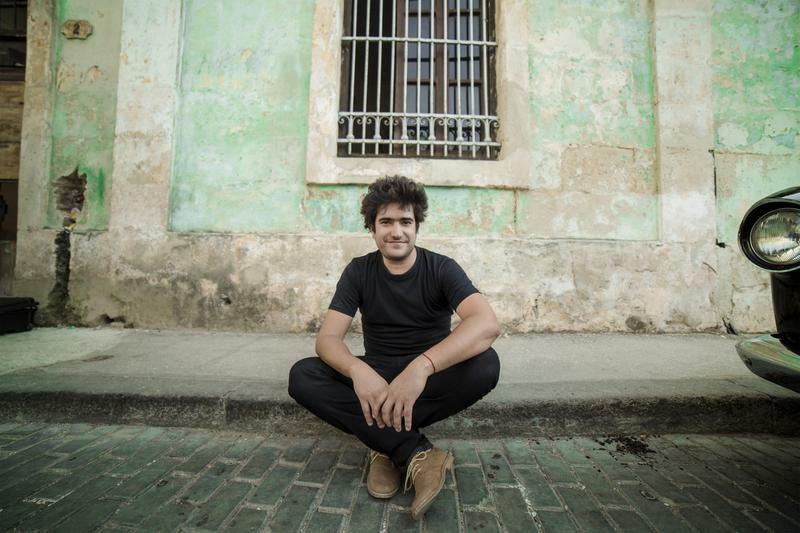 With Meurkens, who has been hailed by critics as the greatest harmonica player since Toots Thielemans, Carter is matched up with a kindred lover of Brazilian music. Meurkens, a native of Hamburg, Germany, was a successful two-mallet vibraphonist when he became so inspired by the evocative sound that the Belgian-born Thielemans created on harmonica that he taught himself how to play the instrument. Similar in ways to Carter’s Rio conversion, Meurkens became smitten with samba and bossa nova and all things Brazilian. So devout was the new true believer, he moved to Rio in the early ‘80s to experience total immersion in Brazilian music and culture. Since then he’s made a host of eloquent jazz and samba recordings, bringing his unique sound and jazz chops to bear on a tradition seemingly as remote from Hamburg, Germany, as it is from Bridgeport, Connecticut. Carter and Meurkins, two co-religionists and fervent believers who bring their jazz sensibilities to bear on Brazilian music, have recorded together before. So, when they figuratively go flying down to Rio on Sunday evening at the jazz-friendly pizzeria, it should be a smooth flight fueled by classy sounds, many bright moments of improvisation and interaction, and what have become Carter’s personal hallmarks, elegance, and empathy. Andres Chaparro, a mixed-media artist whose imaginative, expressionist works have an unmixed message spelling out the Hartford-based artist’s passion, eye, and ear for jazz, celebrates the opening of an exhibition of recently created paintings and collage works with a reception on Wednesday, November 9, from 5:00 to 9:00 pm at Hartford’s Passages Gallery, 509 Farmington Avenue. 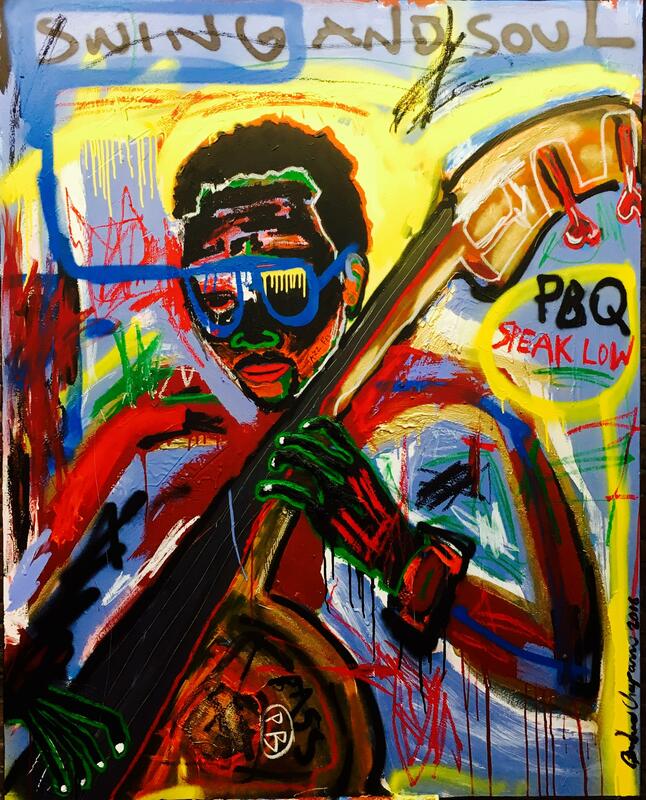 Making its public debut is the commissioned painting “PB,” a work inspired by the late legendary jazz bassist and concert producer Paul Brown. 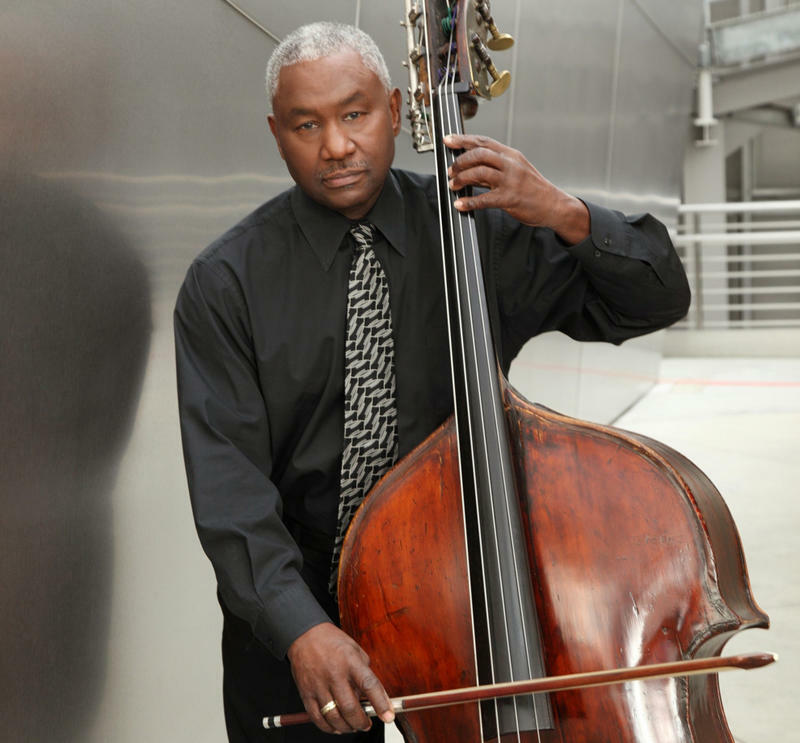 Known affectionately as PB, Brown was the founder of the Monday Night Jazz Series in Bushnell Park and launched the Greater Hartford Festival of Jazz, free events transforming Bushnell Park into a regional hotbed for jazz outdoors. Andres Chaparro's mixed-media art inspired by the late Paul Brown. 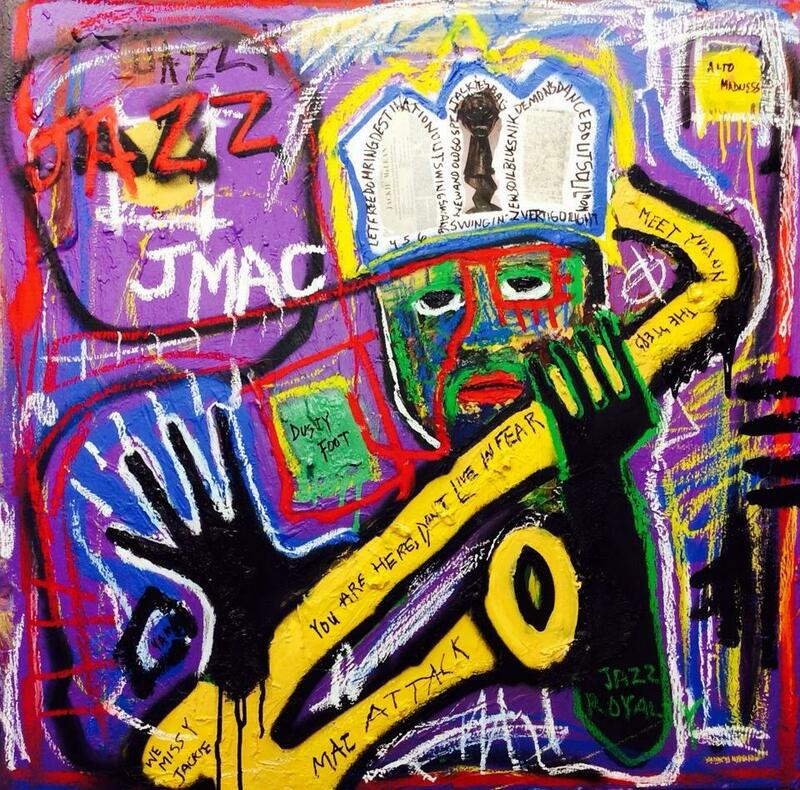 Among many other capital city jazz worthies represented in the exhibition are: Jackie McLean, Dezron Douglas, Josh Evans, and Nat Reeves. Visual analogues of sound and feeling, Chaparro’s works emit a sense of creativity in flight in the existential moment. They’re all about journey, discovery and surprise. 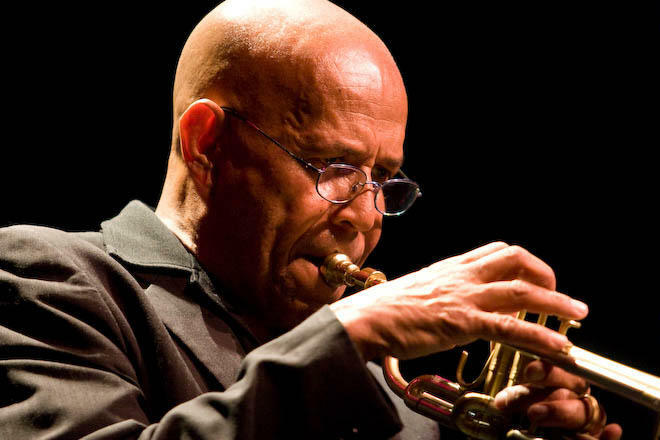 Hartford is transformed this weekend into “the Jazz Brass City” of Connecticut as two of its venerable downtown landmarks flow with molten music forged by trumpet great Eddie Henderson at the Polish National Home and by trombone virtuoso Delfeayo Marsalis at the Hartford Club.